What foods bring luck for the new year? There are a number of traditional foods cooked on New Year's Eve or New Year's Day around the world. Why are certain foods considered lucky? Many have to do with the color of money--or even the shape of money. Eating these lucky foods on New Year's Day is supposed to bring luck in the new year, particularly in the form of wealth. 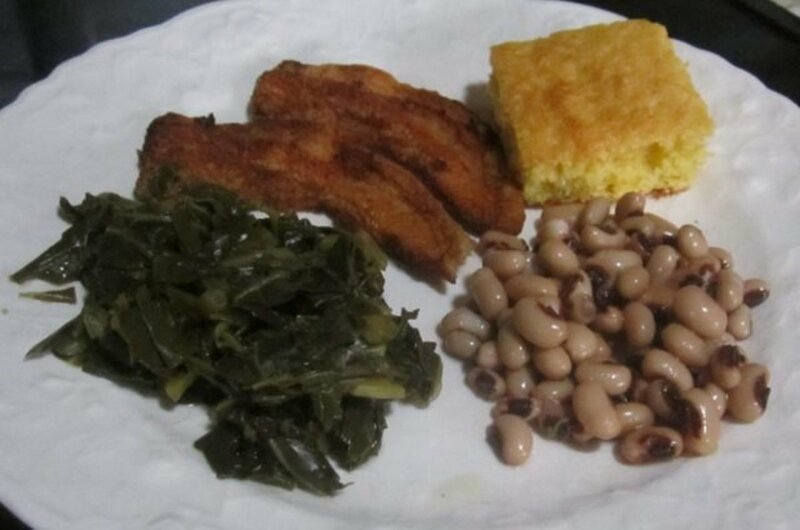 In the south, the most common lucky New Year's Day meal consists of black-eyed peas, hog jowl, collard greens, and cornbread. 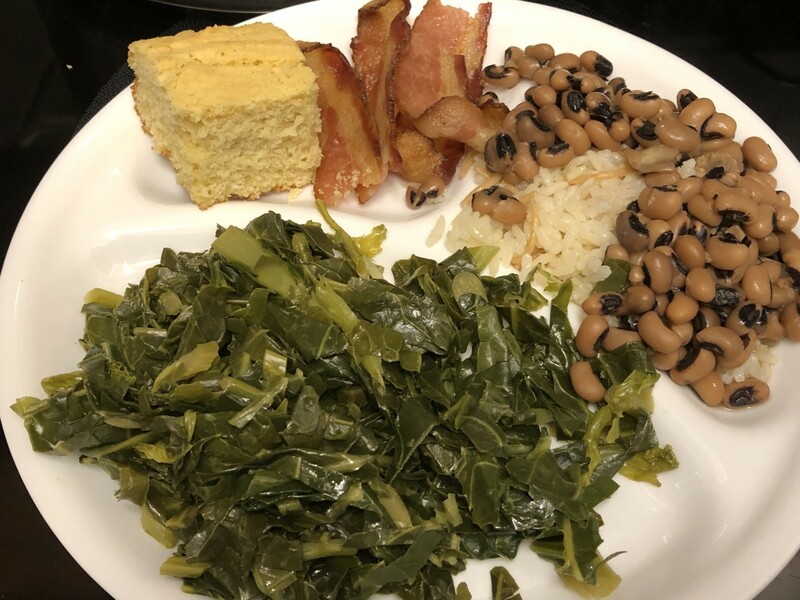 I remember my mother occasionally upholding the New Year's Day tradition of black eyed peas and hog jowl, but I don't think this tradition was honored in our household on a yearly basis. Maybe that's why I'm still neither lucky nor wealthy. Cornbread, likely for its money-related golden color, is also a lucky dish that complements the black eyed peas. I usually mix up a box of Jiffy or other packaged cornbread, but you can easily make your own by following the recipe on the back of most containers of cornmeal. Black-eyed peas are the most common "lucky" food for New Year's in the southern states. Why? Many say that beans are equated to coins, promising wealth and luck for the new year. Cook on low in slow cooker 6-8 hours. Add more salt and pepper to taste. 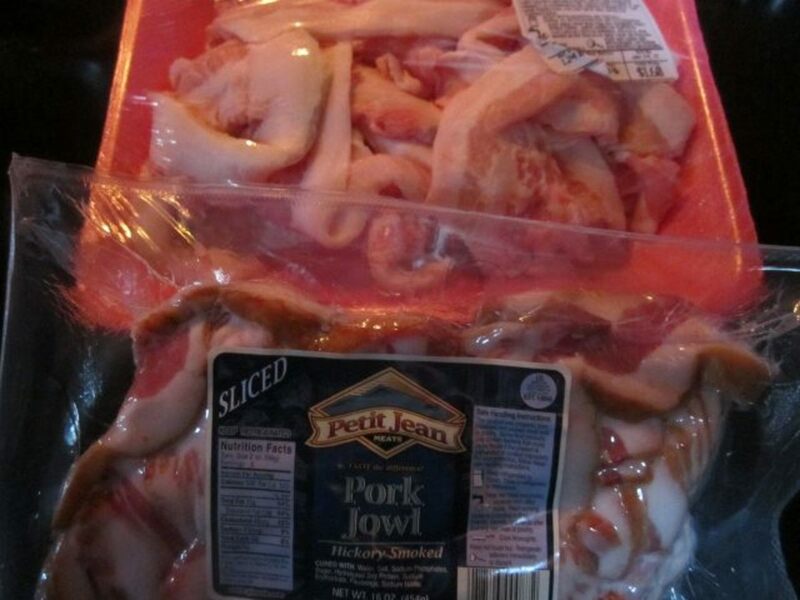 I don't even know if hog jowl--or pork jowl--can be bought in other parts of the United States or even across the world, but it can always be bought in the southern United States before New Year's. I haven't seen it throughout the year, but it might be available in some stores. I just haven't looked for it except for the holiday. Hog jowl doesn't sound too appetizing; nor does it always look too appetizing in its raw state. Recently, I picked up a couple of packages of sliced hog jowl that looked pretty good, so I decided to try them both. I can recall, as a child, eating hog jowl cooked right in the pot of black-eyed peas. Hog jowl can be bought unsliced, basically as a huge ball of fatty bacon. Cooked up with black-eyed peas, it flavors the dish wonderfully but is not very appetizing to eat. Still, a cheap hog jowl (or even ham hocks) is worth getting for the purpose of flavoring, if nothing else. 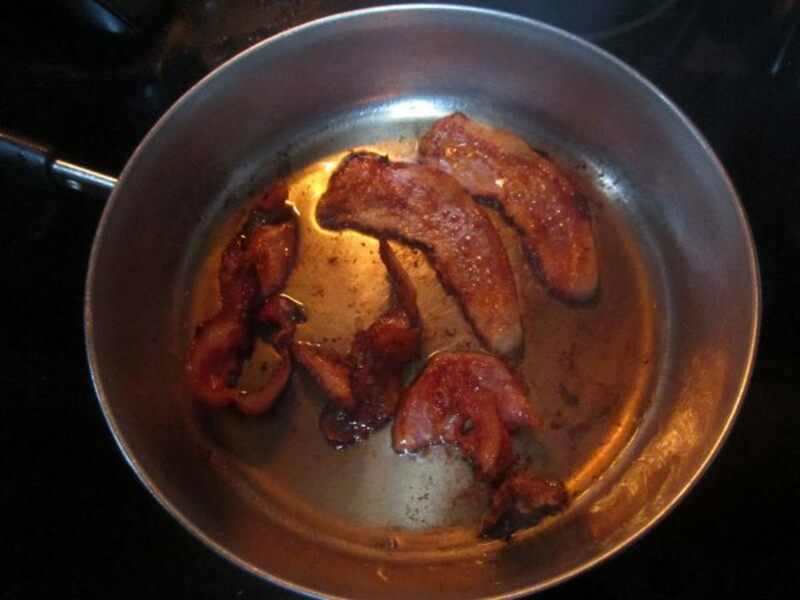 This year I fried up several slices of hog jowl to try for my lucky New Year's meal. I had first bought a more expensive hickory smoked pre-sliced package of pork jowl. It was a brand name--Petit Jean. When I saw some freshly cut hog jowl from the butcher later at the local grocery store, I picked up some of that, too. It had no special seasoning and was nearly 1/3 the price of the packaged pork jowl. The results? As you can see from the photos, the freshly cut hog jowl kept its form and didn't shrink up quite so much. The more expensive stuff shriveled and curled up. It didn't taste any better than the other, either. Pork jowl has an interesting flavor and texture. It's really like eating just the fatty part of bacon, but it's much thicker. I wouldn't want to eat it very often, as it is very rich and fattening, which is why this pork is considered lucky. Hog jowl is a rich piece of fatty meat from a rotund pig that wants for nothing. That's the best I can explain it. Greens are easy to accept as a lucky New Year's Day food, as they are the color of money. 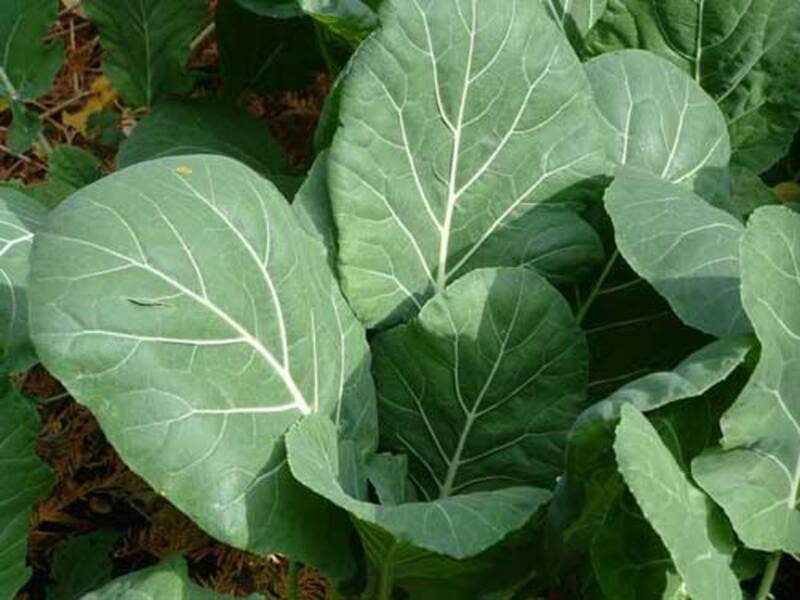 In the south, collard greens are popular and plentiful, but other greens such as mustard greens, spinach, or even cabbage is acceptable. Canned, frozen, or fresh greens will work as a side dish for the New Year's Day meal. Fresh greens can be cooked with a small amount of water, seasoned with salt and pepper, until tender, on the stove or in the crock pot. One of my favorites is cabbage in the slow cooker. What do you think of these New Year's Day recipes? Say what? Yeah, I've lived in the south all my life, and I have never heard of these two. Hoppin' John and Pot Likker Soup? Hmmmm . . .
Well, according to Wikipedia, Hoppin John combines bacon (or other pork), rice, and onions with black-eyed peas. 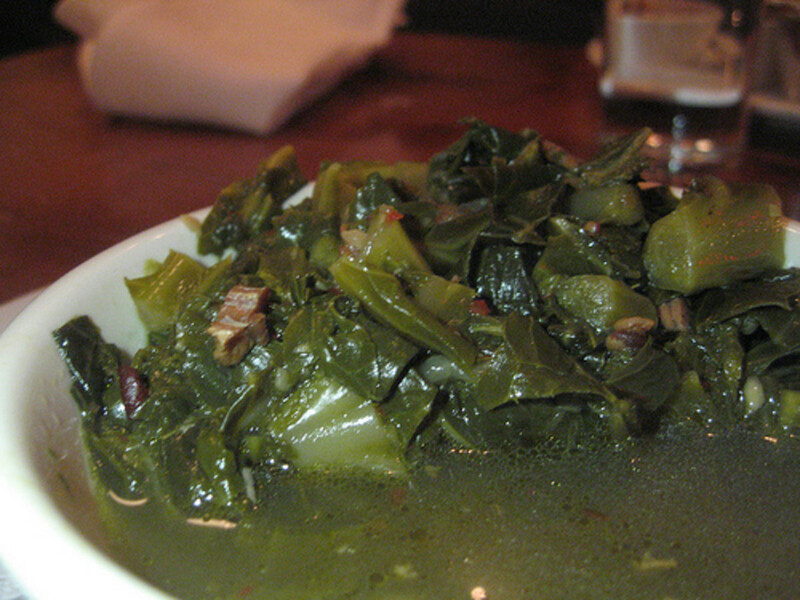 Greens can be served with or even mixed in with the dish. Simply Recipes has a good looking recipe for Hoppin John. Countries all over the world have their own traditions of foods considered to be lucky. Epicurious shares six common foods that are eaten for luck on New Year's all over the world; these do include pork, legumes, and greens. Please feel free to share your own New Year's Day food traditions in the comment section below. While I'm not a superstitious person, I do like some traditions. 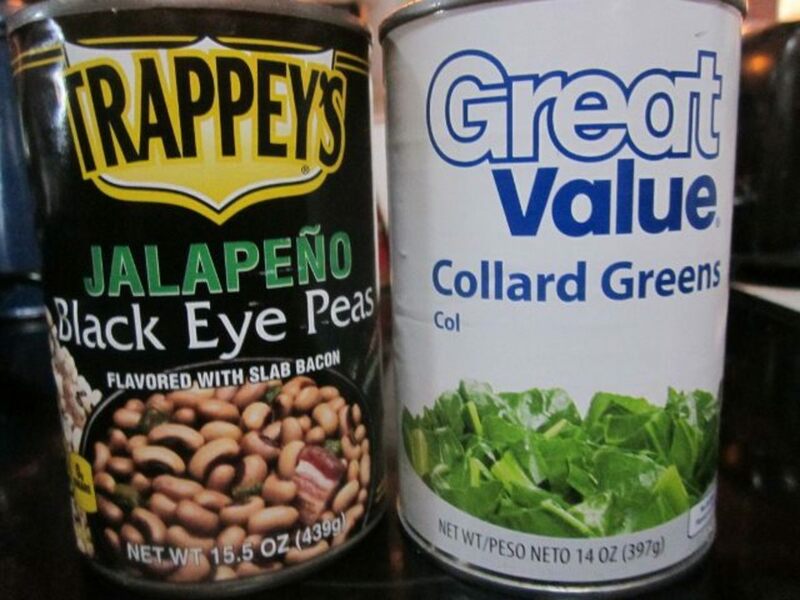 Hey, just in case black eyed peas, hog jowl, and collard greens do bring some luck, why not have some? I think I will. New Year's Day Southern Vegetarian Soup with black eyed peas, greens, and tomatoes . . . .
Do you have a special New Year's Day Meal? Yes, similar to what this hub describes. Yes, but it's very different from what this hub describes. No, I don't have a special New Year's Day meal. prasetio--I'm glad you like the recipe! Thanks so much! Rebecca--I made some black-eyed peas in the slow cooker recently. They were so good that way! With onions and a bit of meat (some kind of ham hock that flavors it). Yum! 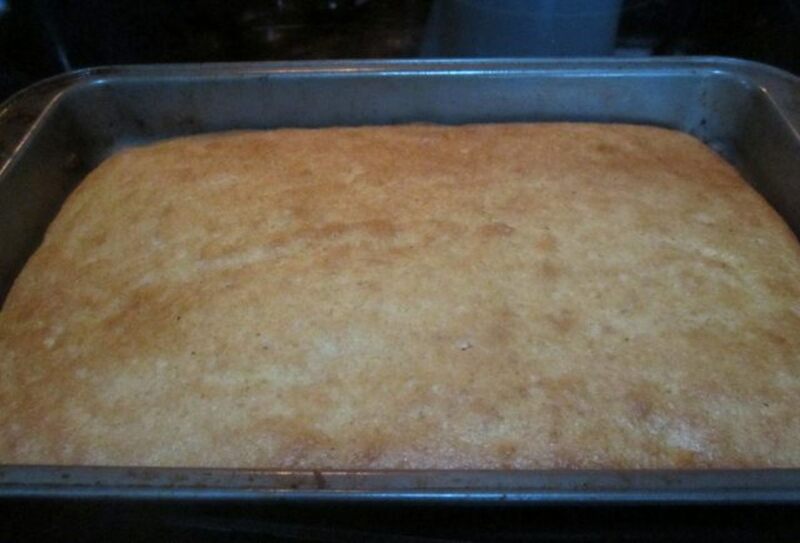 Yeah, cornbread is always good. Yes, Ann, the black-eyed peas seem to be the most common dish for New Year's. I love the other stuff with it, though! Thanks for reading and commenting! Hey, Audrey, I just made blackeyed peas recently. They are AWESOME in the slow cooker! Yum! :-) Come to dinner, anytime! It sound delicious. I love the recipe. I'll show this hub to my mom. Thanks for sharing. Have a nice weekend! We always have black-eyed peas and cornbread but not the rest. My mother was from the south. I will probably let the hog keep his jowls but I will eat the rest of him! ahorseback--I guess it's hog meat/fat (yeah, mostly fat!) from the jowl, aka cheek? of the hog? It's very fatty. Sometimes I have bought it in chunks, so I get very little to each off it, but it flavors the black eyed peas great! Sometimes I can buy it in slices. When fried, it can be put in chunks to flavor the peas. You can even eat it! It's pretty rich, so not much! It's like really thick, fatty bacon. Good for a few bites, but I can't eat too much of it that way--not at once. Hey, thanks for asking! You probably got more of an answer than you wanted. LOL! I love black eyed peas - but hog jowls? But like you say, good flavor. Wondering if I can substitute something else. (I'm one of those vegetarians.) Thanks Victoria. Up, useful, awesome, interesting and sharing and pining. Patsybell--Thank you! Peace and prosperity to you as well! Lisawilliamasj - I love pork and sauerkraut, too. That's wonderful to blend two traditions. Thanks for sharing that! WiccanSage--Yes, hog jowl is a really thick, fatty pork. It flavors things up very well and is quite tasty. I wouldn't eat a lot of it, as it's very fatty. My guy and I like to stay in on New Year's Eve, too. I did cook him up a version of Hoppin John on NY Day with black eyed peas, hog jowl, and seasonings. We had collard greens and corn muffins, too. He loved it! Let me know if you try it! Love your Black eyed pea hub. Voted up and useful. Peace and prosperity to you. This looks so delicious! My father made this exact meal, every year, when I was growing up! My husband is from PA, so his tradition has always been pork and sauerkraut. Now we make a huge meal incorporating both traditions. We figure that we can use all the luck we can get! Thanks for sharing. I voted up. I'm from NY so I've never heard of hog jowl, lol. But if it's pork and has things like beans, my husband (who is from Puerto Rico-- where beans and pork are staples) will love it. Always looking for new recipes, this looks like a good one. For New Year's Eve we traditionally order Chinese food-- lol. Very different from this hub here, but once Christmas is over we're officially all partied out on holidays and like to hole up in PJs with take-out, movies, puzzles and cards. 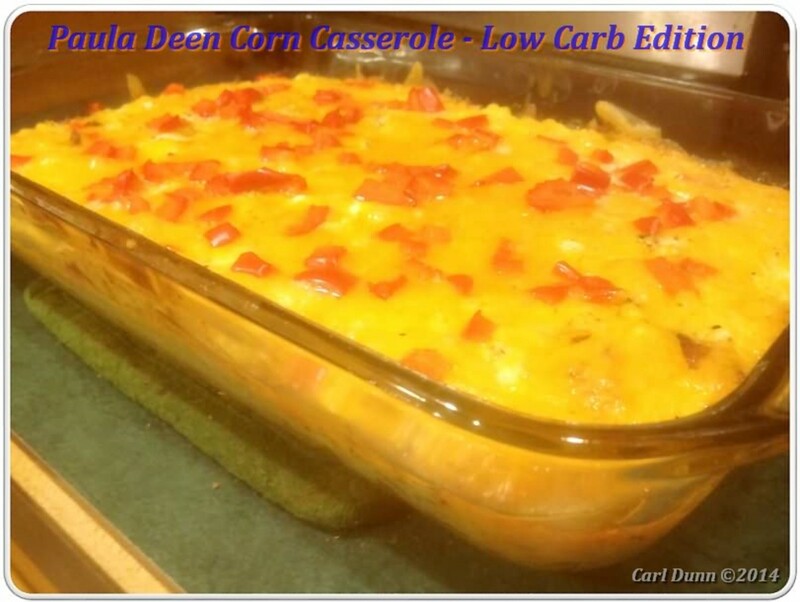 But this looks like a good one to try for a Sunday dinner. Thanks, Victoria! It's an interesting meal, and tasty, too! prettynutjbo30 Glad you like the hub! Yes, we must have our black-eyed peas, if nothing else. I like your name, prettynutjob. LOL! Can't forget the black-eyed peas, I grew up on these and still eat them today. I can still hear my mom telling me to eat my black-eyes for good luck on New Years. I love this hub, voted up and so much more. Thanks moonlake! I'm glad you did--hope you enjoy it! I came back to pin this to my holiday board. teaches--I kind of like the hog jowl, just not too much of it at once! Hot chocolate and muneulos sounds great, although I don't know what muneulos are. LOL. Happy New Year!!! I love the foods you mentioned, I would even try the hog jowl! We make muneulos and hot chocolate on New Year's, both a Mexican tradition. Have a wonderful New Year in 2013, Victoria. T--That's too cool!!! I think I'll make some more today. I could use some good luck this year. Yummy! Can you find the stuff there to make your own? Jamie--It's time! Get out those black eyed peas! always exploring--A lot of folks just opt for the black eyed peas and cornbread, leaving out the hog jowl. Whatever you do, do it well and have a happy new year!! I usually make a roast or big meal, but this year we decided to do tacos! BUT I also have a can of black eyed peas that will be heated up for sure! I have to include them every year! Have a lucky and prosperous New Year! 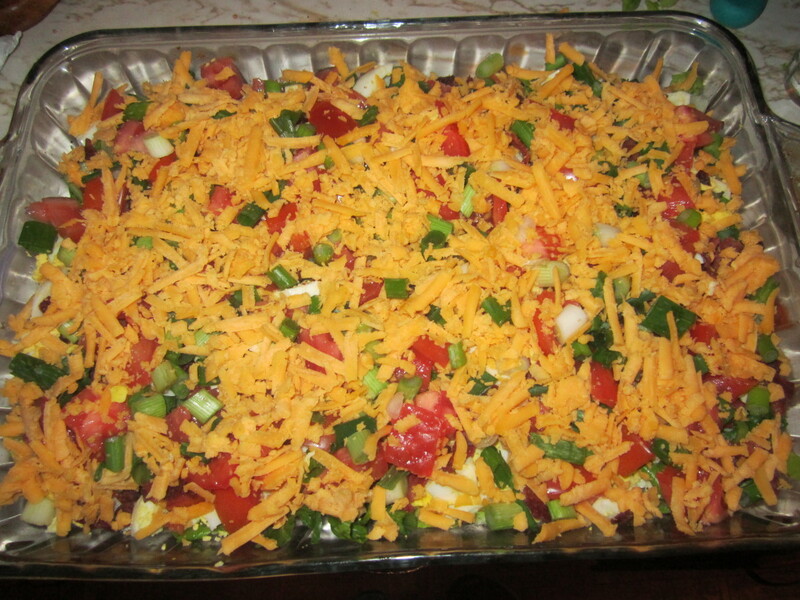 V, an ex boyfriend's mom used to make it and I LOVED it. I told my mom and she said, "My momma used to make that all the time. But your daddy don't like it so I stopped making it cuz he said black eyed peas taste like dirt. Damn yankees." I have always loved black eyed peas.. thanks for sharing this recipe! I think there will be some delicious black eyed peas in my very near future. voted up and useful. Happy New Year! My family has always served black eyed peas every new year's day. ( no hog jowl ) and cornbread. Love this tradition. Thank you for sharing..Happy New Year..
Hey, moonlake--I'm glad you can relate! Happy New Year and the best of luck to you! I always forget to have this for New Year's Day but I think that is what I will have this year. One of my favorite foods is black eyed peas with hog jowls. I also love greens and corn bread. I need some luck. My family's southern so they always had them. My aunt reminded me last year. Voted up. Have a Happy Lucky New Year. T, you're the first one who has eaten hog jowl! Can you find it out there between Heaven and Hell???? Yeah, midget, I don't think that a lot of people who aren't from the south US have heard of hog jowl. Do you have traditions for New Year's? Happy New Year! Interesting foods! Haven't heard of the hog jowl either. Thanks for sharing, Victoria...will share this hub and Happy New Year! 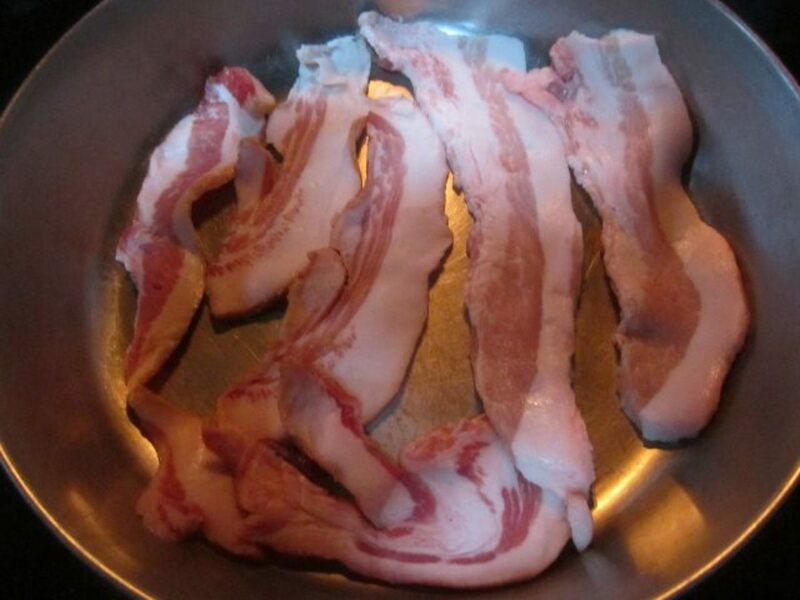 Alecia--Instead of hog jowls, you could use bacon or even pork chops or ham. I think it's cool as long as it's pork--if you eat pork. Happy New Year! Thanks for voting and sharing! Expertscolumn--Yeah, I read something about a southern guy who was up near your area and couldn't find what he needed. He ended up finding it in a can somewhere. Regions really differ! Do you have a traditional New Year's food? This is so tasty sounding, except for hog jowls- that's one thing our family doesn't eat. Everything else is what we do every year and while it didn't sound good growing up, it's awesome now :). Voted up and shared. Deb--I think some people do this on NY Eve, as well. Thanks for the read and comments. Happy New Year! Great hub about these New Year's Day food traditions. I don't have a special meal on New Year's Day, but usually do on New Year's Eve. A couple years ago I served a black-eyed pea salad as part of the appetizer course in a nod to the old southern custom.